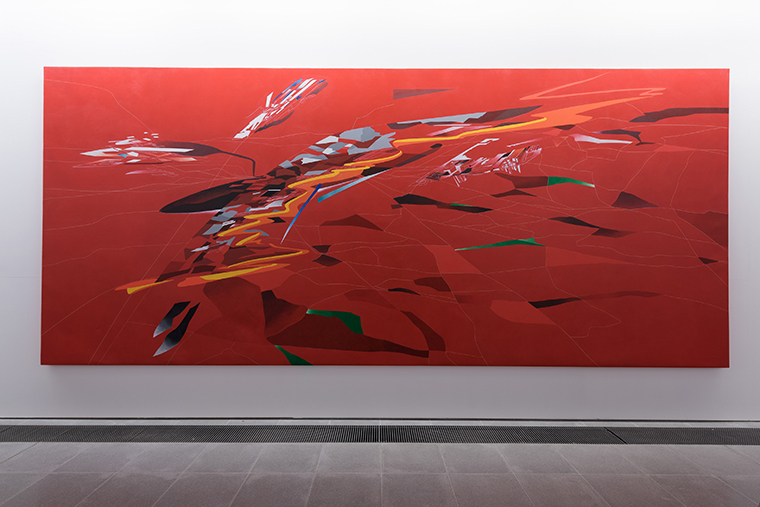 Zaha Hadid, Metropolis, 1988, on view at Serpentine Sackler Gallery, 2016, London. Photo: Hugo Glendinning. Zaha Hadid is widely regarded as a pioneering and visionary architect whose contribution to the world of architecture was ground-breaking and innovative. 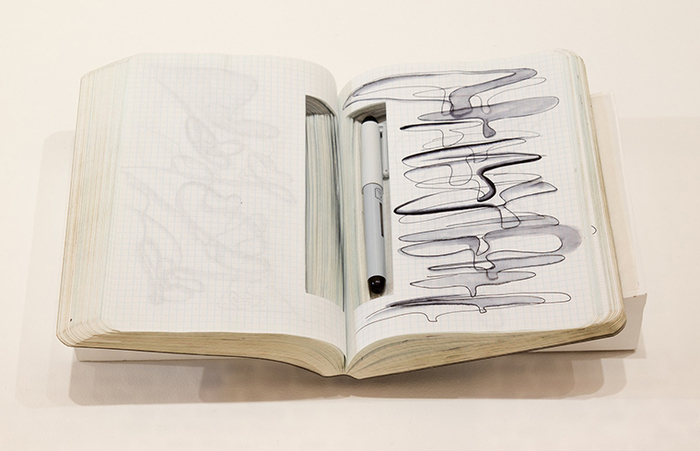 The Serpentine presentation, first conceived with Hadid herself, reveals her as an artist with drawing at the very heart of her work and will include the architect's calligraphic drawings and rarely seen private notebooks with sketches that reveal her complex thoughts about architectural forms and their relationships. The show focuses on Hadid's early works before her first building was erected in 1993 (Vitra Fire Station, Germany) and presents her paintings and drawings from the 1970s to the early 1990s. The exhibition takes place at the Serpentine Sackler Gallery, renovated and extended by Zaha Hadid Architects in 2013. Born in Baghdad, Iraq in 1950, Zaha Hadid studied mathematics at the American University of Beirut before moving to London in 1972 to attend the Architectural Association (AA) School where she was awarded the Diploma Prize in 1977. Hadid founded Zaha Hadid Architects in 1979 and completed her first building, the Vitra Fire Station, Germany in 1993. Hadid was awarded the Pritzker Architecture Prize in 2004 and is internationally known for her built, theoretical, and academic work. The MAXXI: Italian National Museum of 21st Century Arts in Rome, the London Aquatics Centre for the 2012 Olympic Games, and the Heydar Aliyev Centre in Baku are built manifestos of Hadid's quest for complex, fluid space. Hans Ulrich Obrist is an art curator, critic, and historian of art. He is artistic director at the Serpentine Galleries. Obrist is the author of The Interview Project, an extensive ongoing project of interviews. He is also coeditor of the Cahiers d'art revue and was recently number one in ArtForum's Power 100, as the most connected and influential person in the art world. Yana Peel is CEO of the Serpentine Galleries. Peel started her career at Goldman Sachs. Having cofounded the Outset Contemporary Art Fund in 2003 as a hub for creative funding solutions for cultural projects, Peel maintains advisory positions across the arts that include: Tate International Council, British Fashion Council, Lincoln Centre, V&A, V-A-C Foundation Moscow, and Asia Art Archive. At Para/Site and Intelligence Squared, she serves as board cochair. Since opening in 1970, the Serpentine Galleries have not just withstood the test of time but evolved, adapted and excelled. The Serpentine moves forward boldly with an emphasis on artists, audiences, technology, partnerships, innovation and accessibility for everyone. 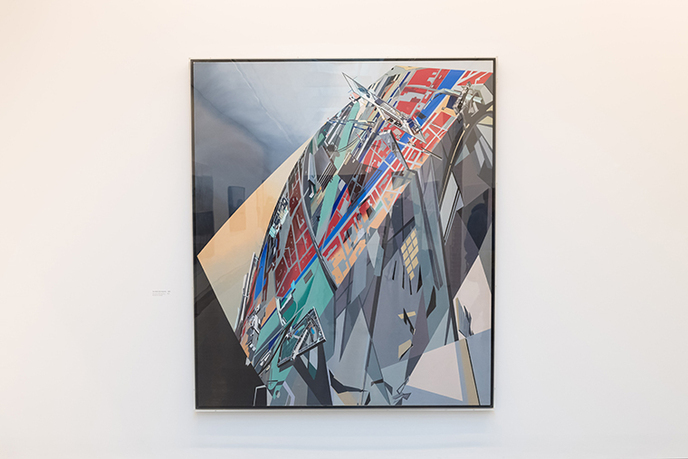 The Galleries exhibit, commission, and promote the understanding and value of art, architecture, and design through an integrated, interdisciplinary, and open program of exhibitions, architecture, education, public events, and digital innovation.